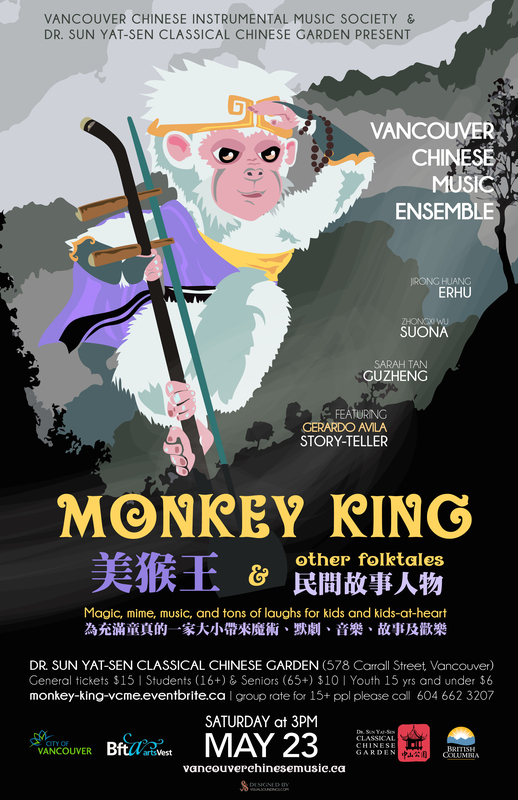 Physical theatre artist Gerardo Avila and Vancouver Chinese Music Ensemble (VCME) invite all to Dr. Sun Yat-Sen Classical Chinese Garden on May 23, 2015 for an hour of interactive musical comedy, mime, magic, stories, and music suitable for the entire family. The Monkey King (Sun Wukong) is the main character in the Chinese classical novel Journey to the West. Inspired by this legendary character, actor/comedian Gerardo Avila will entertain all ages and introduce them to Chinese folklore. 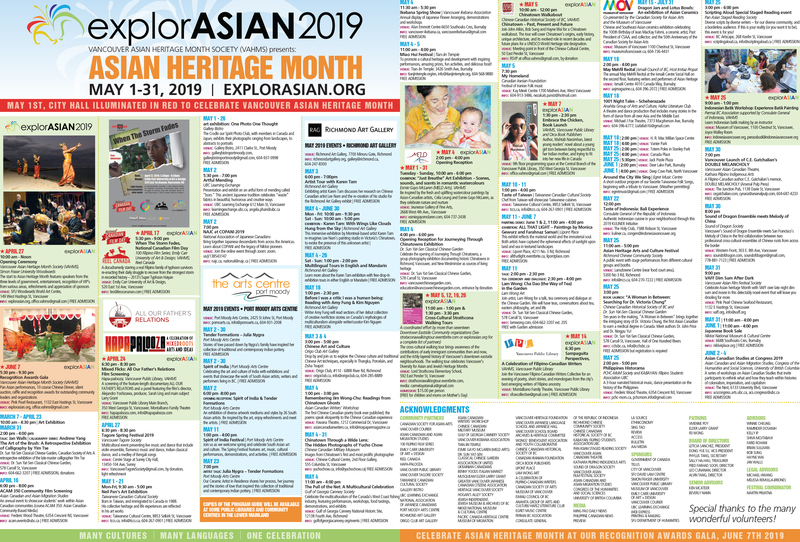 Music and sounds will be provided by VCME members and their traditional instruments: Jirong Huang (erhu), Sarah Tan (guzheng) and Zhong Xi Wu (suona). Adults, Family, Youth, Student, and Group rates available. Previous post ← True Patriots: Special exhibition to commemorate the 70th anniversary of the end of the WWII.